Set within the mundane melancholy of a seaside town, we follow Sam and Luna, a young lesbian couple, though the different stages of their relationship. Mary Warren: You're such a cliché. This movie is amazing and it a MUST SEE! Young women today are bombarded by so many negative role models and messages and it is refreshing to watch a movie that EMPOWERS young women! 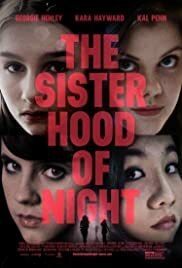 This movie tells a story in a wonderful way while showing how important it is for young women to empower each other through the strength and courage of sisterhood! Women of all ages need to see this movie. I'd encourage mothers to see this movie with their teen-aged daughters. There is a lot that can be learned from this movie and it can and has sparked great conversation and unity among young women. It was an added bonus for me that the movie was filmed and the story takes place in a location that is just 15 minutes from my hometown! It was fun to see various locations that I visit on a regular basis. Kingston is a vivid, lovely city that certainly created a hometown feel and backdrop which added to the story itself. I know that all of us who shop/bank/live in and around Kingston NY were so grateful to have a movie produced here. There are many shop owners and store employees who had only wonderful things to say about the cast and production staff.